By Expedia CruiseShipCenters - Roswell River Cruising is the fastest growing segment of the cruise industry, and one of our most frequently asked questions is, “Can you tell me about River Cruising?” There are a variety of River Cruise operators and each has its own specialization, so here’s a general overview. Destinations Due to the smaller ship sizes, river cruises can offer travelers some of the most sought-after destinations along historic waterways of the world. 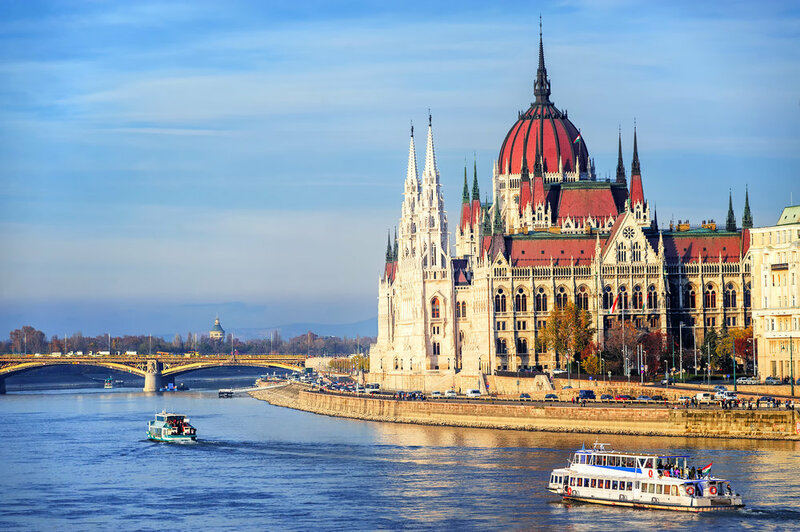 River cruises offer exotic destinations such as Russia, Vietnam, Cambodia and Egypt as well as the historic European rivers such as the Danube, the Rhine, and Seine. Each destination comes with a variety of different complimentary shore excursions that guests can choose from, including walking tours, guided bike tours, majestic landmarks, and enriching cultural experiences. Ship Size River cruises by nature are smaller vessels; this allows them to navigate calm waters and port at exclusive destinations. Most river cruises host just 100 - 200 guests, which allows guests to experience a relaxed environment. Service The river cruise experience is elevated with superior service. Travelers can expect attentive and personalized service. Some river cruise lines provide expert guided tours, complimentary bikes onboard, as well as salon and spa services. Most river cruise lines also provide complimentary Wi-Fi. Dining Most river cruise lines include all onboard meals, soft drinks, free flowing wine, beer, and specialty coffees and teas. The dining experience is guaranteed to entice even the most discerning diners. In addition, river cruise providers may extend the culinary experience offshore by combining their shore excursions with famous local restaurants at port destinations, wine tastings, and local specialties. Onboard Activities Entertainment onboard river cruises tends to be aimed at enriching the guests' cultural experiences. Evening entertainment is usually accentuated with sophisticated performances, eloquent music or local cultural performances. Guests can also take part in lectures, culinary classes, or specially crafted shore excursions. These shore excursions allow guests to take in the very best of every destination with an expert guided tour, or explore at their own pace. To learn which River Cruise would most closely match your interests and style, contact Expedia CruiseShipCenters in Roswell at 770-415-1030 or roswell@cruiseshipcenters.com. Happy 6th Anniversary Table & Main!